With the coupon attached below you can now save $1 on any Live Clean products available in your grocery store or pharmacy. 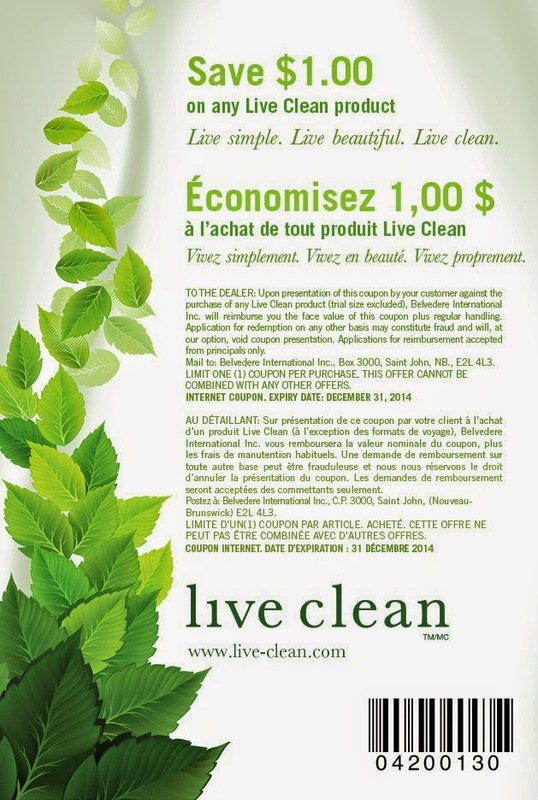 What is Live Clean? Live Clean is a unique eco-friendly beauty care line based on natural, plant based ingredients. Well, if you are a parent, you will probably recognize these baby products by Live Clean (at least, I did!). You can print the coupon directly from here (the image below) or you can do so from the brand's Facebook page. The coupon is valid through December 31, 2014.